Nursing that right shoulder, Chris Paul scored 20 points and dished out 12 assists in L.A.’s 122-117 win over Portland. In the final game before the NBA All-Star break, all-stars and those who should be all-stars were on display Wednesday night at Staples Center and put on quite a show as the Los Angeles Clippers (37-18) beat thePortland Trail Blazers (36-17), 122-117 in a game that saw 40 lead changes. 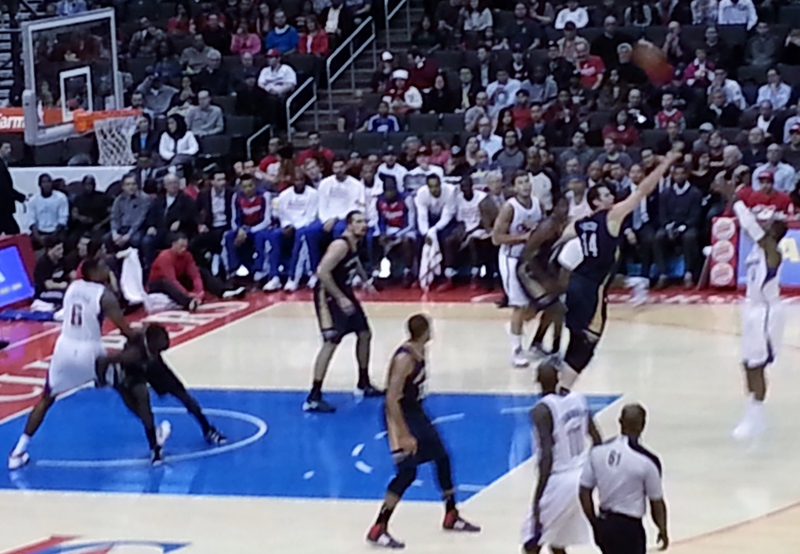 Chris Paul was back in the lineup directing the Clippers to 123-78 win over Philadelphia. Even with that final score – 123 to 78 – the game wasn’t even that close. Celebrating point guard Chris Paul‘s return after being sidelined for six weeks with a separated right shoulder, the Los Angeles Clippers (36-18) toyed with thePhiladelphia 76ers (15-37) winning by 45 points in front of the 120th consecutive Clippers sellout at Staples Center. 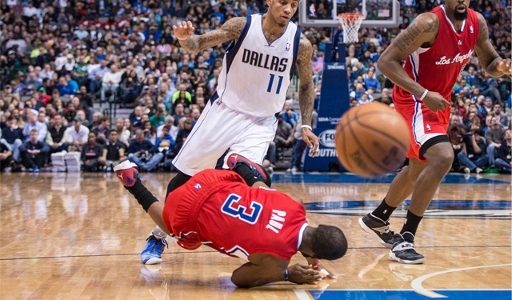 Chris Paul tumbles to the floor separating his right shoulder against the Dallas Mavericks. 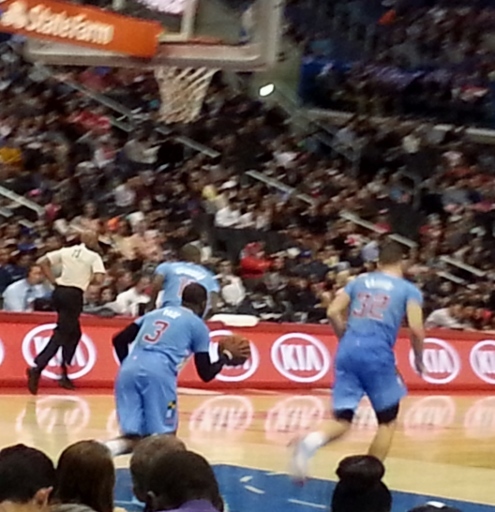 All-star point guard Chris Paul returns to the Clippers lineup tonight with Los Angeles hosting the Philadelphia 76ers. Paul, who is averaging 20 points and a league-high 11 assists, separated his shoulder in the third quarter against the Mavericks in Dallas on January 3rd and – according to Clippers coach Doc Rivers – is ready to go. The Los Angeles Clippers enter their third game without all-star point guard Chris Paul tonight when they host the Boston Celtics at Staples Center. Paul went down with a separated right shoulder last week in Dallas against the Mavericks that’ll keep him out of the lineup for six weeks. 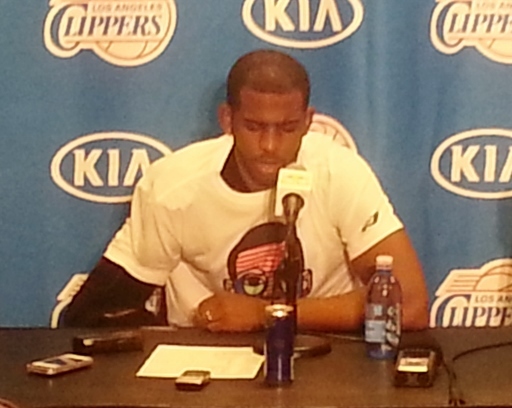 To read the rest of the story and view the video on Chris Paul’s injury, click here. Clippers center DeAndre Jordan (#6 far left) fights for rebounding position during Wednesday’s 108-95 Clippers win over the New Orleans Pelicans. Traveling across country is always a difficult proposition for anyone. Especially for professional athletes – let’s say like a basketball team. Thanks to the Disney On Ice holiday extravaganza taking over Staples Center the first two weeks of December, the Los Angeles Clippers took to the road for an east coast swing where they were able to win four out of the seven games on the roadie. To read the rest of this story and see the video feature, click here. 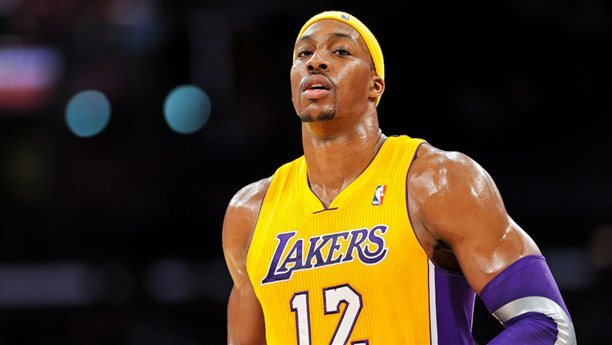 Dwight Howard makes his first return to Staples Center tonight since leaving the Lakers when the Houston Rockets visit the Clippers. After losing the season-opener to the corridor-rival Los Angeles Lakers the Los Angeles Clippers have reeled off two straight wins and look to get a third tonight when they host ex-Laker Dwight Howard and the Houston Rockets (3-0). It’s Howard’s first visit to Staples Center since leaving the Lakers. He’s averaging 15 points, 17 rebounds and two blocked shots per game for the Rockets. To read the rest of this story and view the video report, click here.